Fishing remains solid. The dry fly remains the winning tactic. 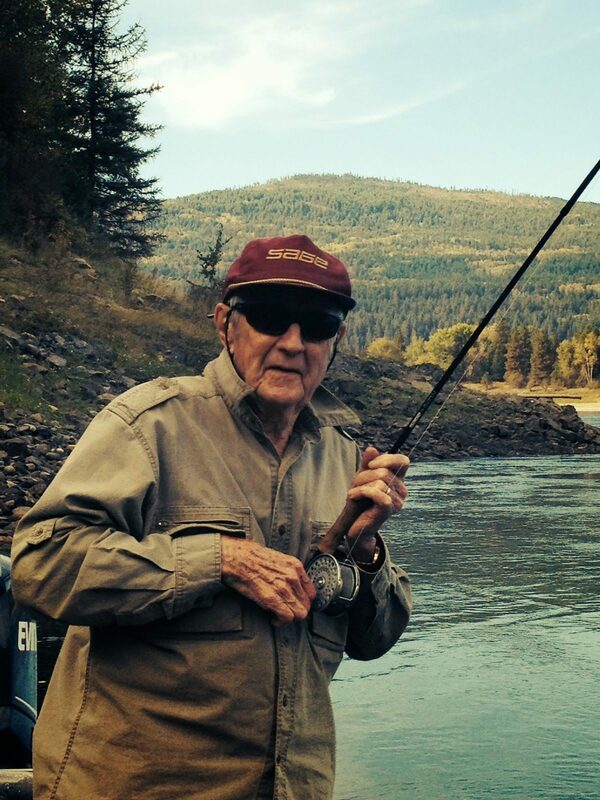 The photos below are of Bill Smith – 85 years young and a lifelong fisherman. 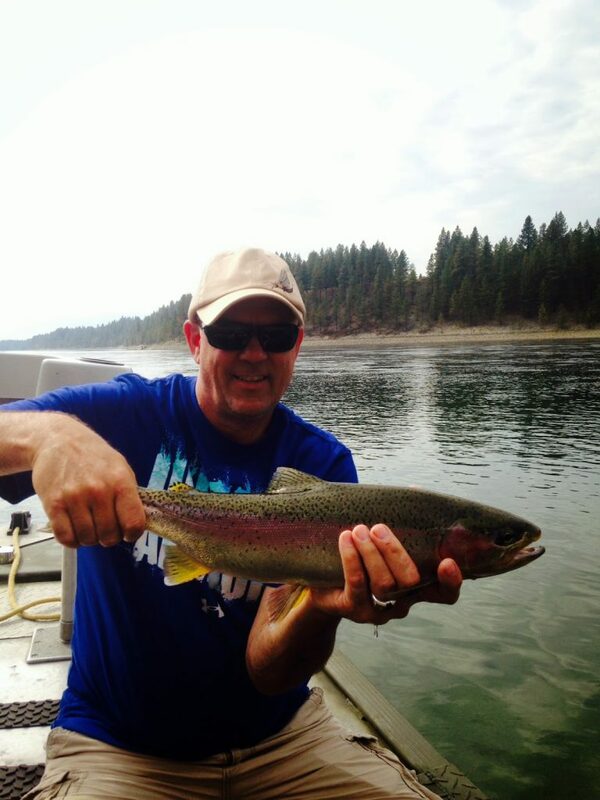 He landed the biggest rainbow of his life yesterday on a dry – 25 inches! The Upper Proper and The Upper Flatlands are sporting the majority of the Salmon spawn. The Farmlands would most likely win the cake when it comes to the Cranefly activity, yet there are Cranefly throughout the system. Lot’s of Little Yellow May’s in the 16-18 size…..
Nymphing, Wet fly swing, Streamers and Dry fly tactics have all been worthy. Get out and fish! As good as the fishing was before this past week of a dirty and rising river… We needed the change up. The river is close to normal flows for this time of year and back in shape! 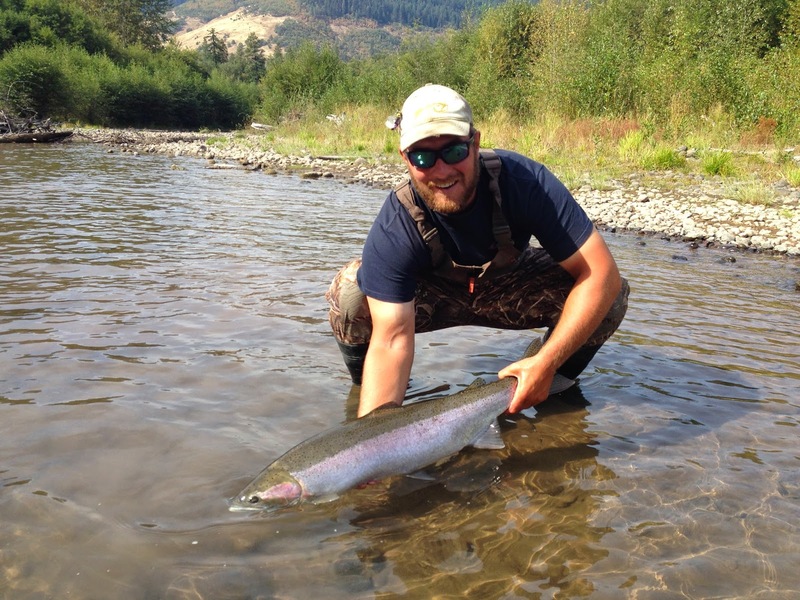 Some incredible steel in the river with ‘lotsa’ Chinook as well. 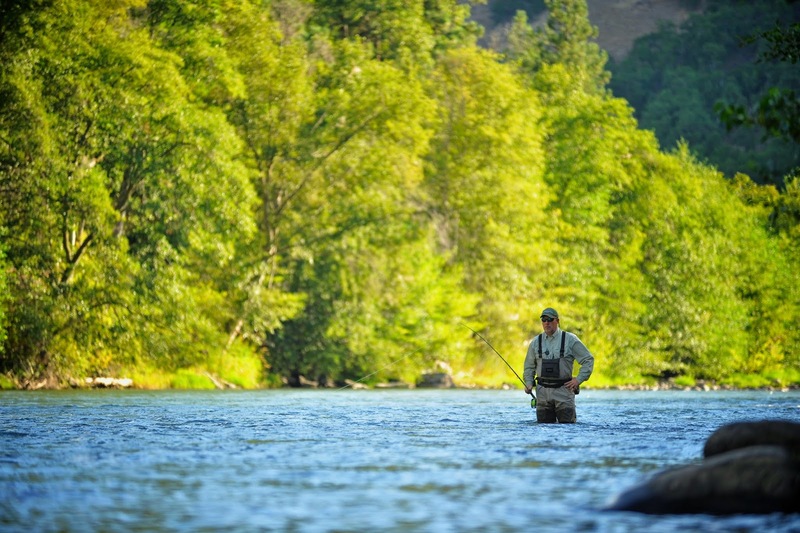 Multiple tactics are worthy for duping the steelhead. Favorite sink tip this year has been 10 feet of T-8. 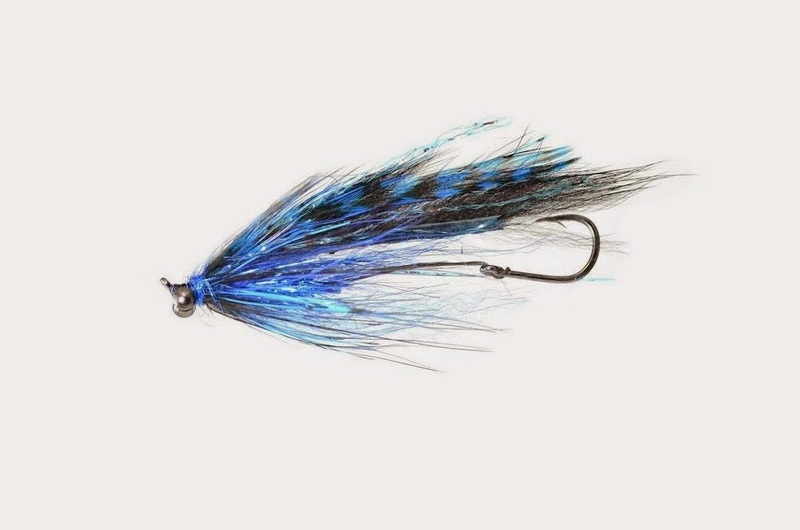 Favorite swung fly recently has been the Black and Blue Searcher by Jeff Cottrell. 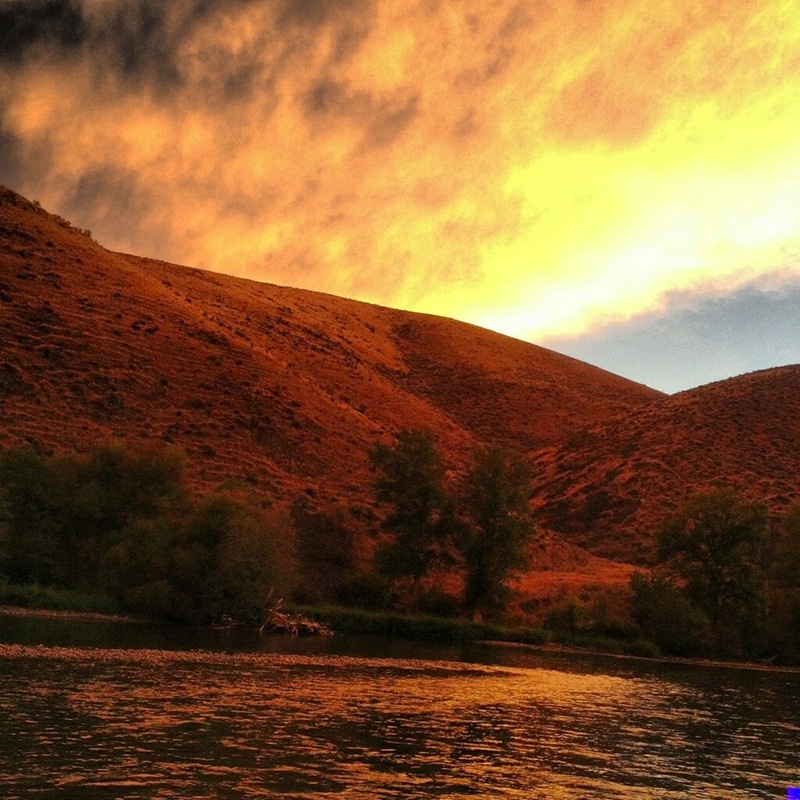 The Yakima is fishing GOOD to GREAT from Roza to Easton…End of Story. More later on the Yakima …. This picture shows the clarity of the river within the last 36 hours. The clarity is actually worse today. However, we are most likely on the upswing …. Hopefully by Saturday we will be good to go! The Klickitat took a turn for the worse yesterday regarding clarity….Two 90 degree days in a row, warm winds on the mountain with warm night time temps were the culprit. 1-2 feet of clarity. 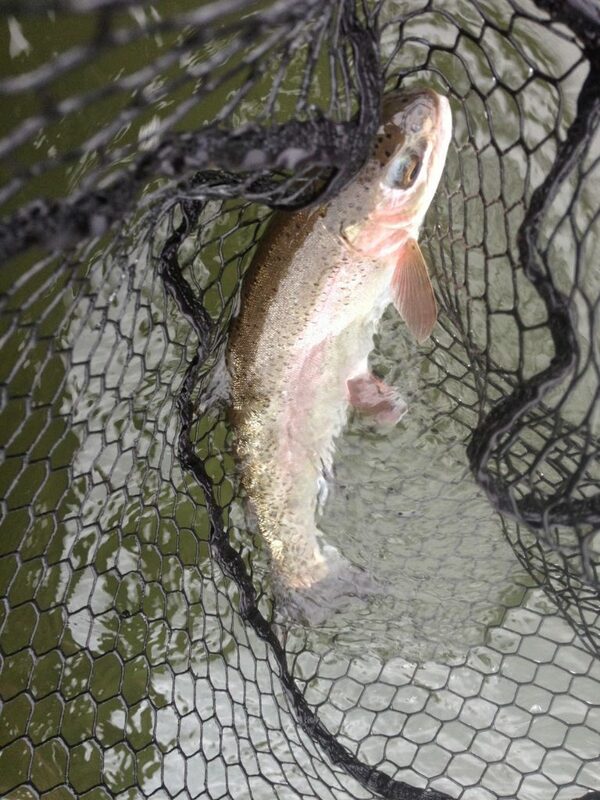 Definitely plenty of fish in the system….as the Nymph and the Swing have been good to great lately. 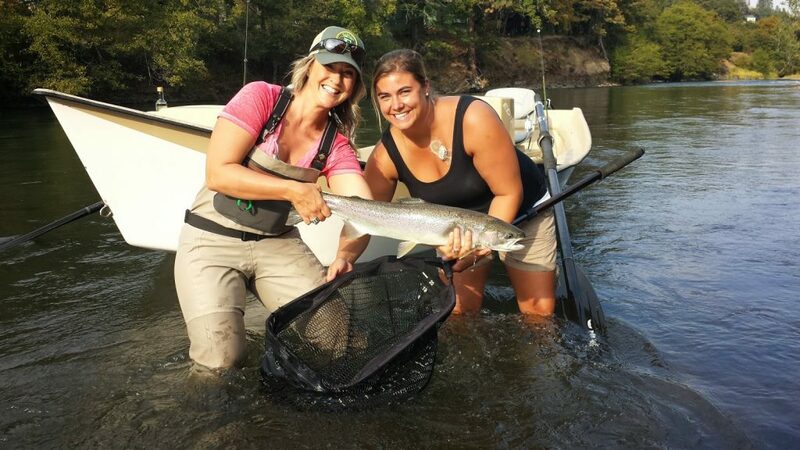 ‘The Bead’ in select zones….especially up river! The entire river has been fishing good to great from head to toe and it is ultra low as are most western streams currently. 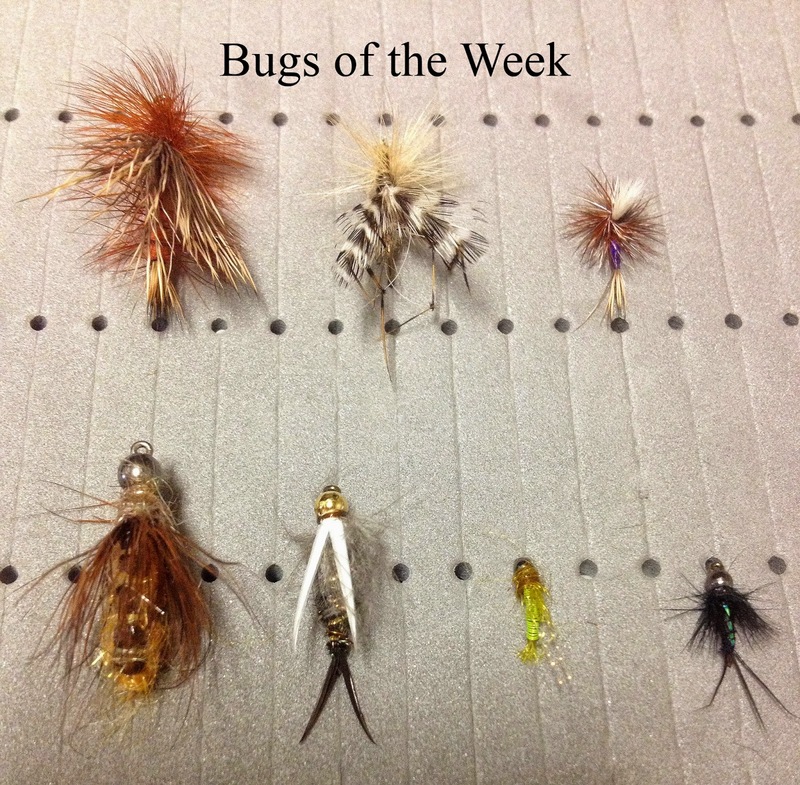 A variety of tactics are needed depending the day and the stretch of river. As listed above, The winner for the dry fly is a #10 Crane fly. The best nymph in the upper river undoubtedly is the egg pattern behind the salmon. The best nymph for us in the middle and lower stretches has been the #16 BH Deep Six Caddis. 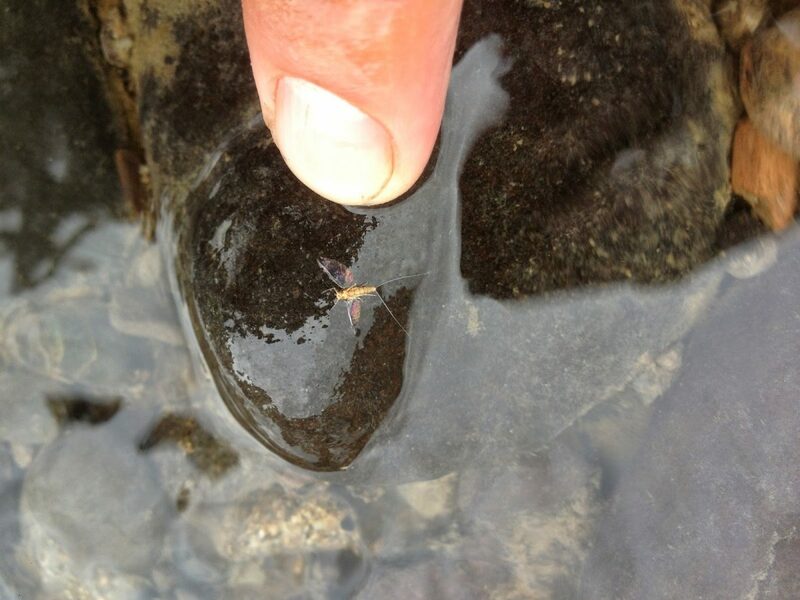 A well place streamer in the upper river, especially an Eggsucker…..has been WORTHY. Average fishing some days, great fishing on others. 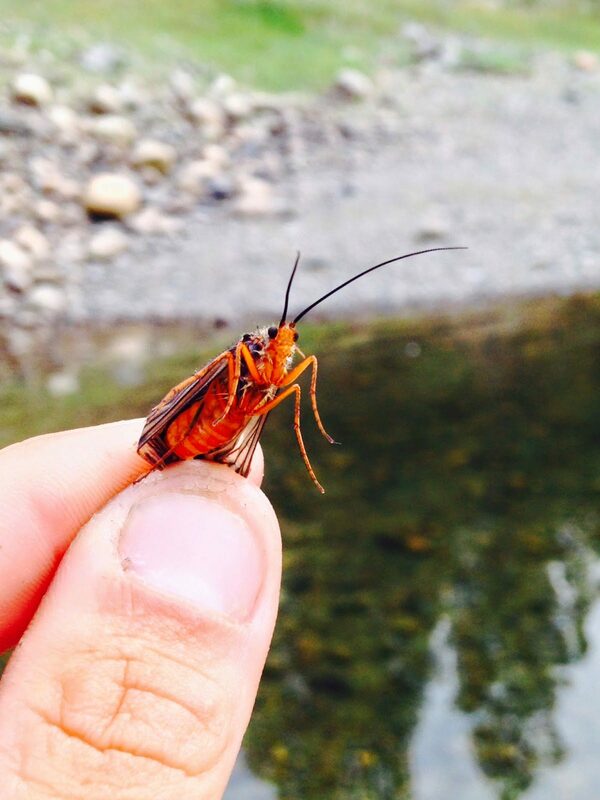 October Caddis are here! 15 feet of visibility – WOW! Long leaders and immaculate presentation (not conception) make for challenging but good days. We have seen average to great fishing since the last report MULTIPLE tactics are worthy; from the nymph to the swung fly with a dry line and sink tip as well. Pick your favorite technique and get’r done. 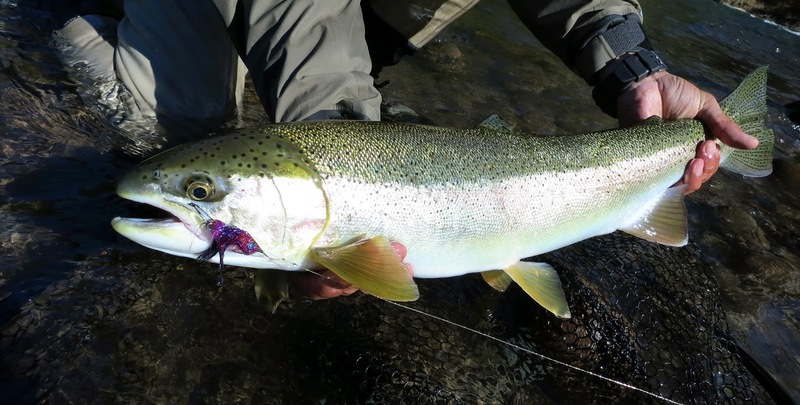 The water has been LOW and CLEAR until today when the river bumbed up a bit – 60CFS – and changed color to Steelhead ‘Grey Green’. Clarity change was most likely due to some rain and wind on the mountain. 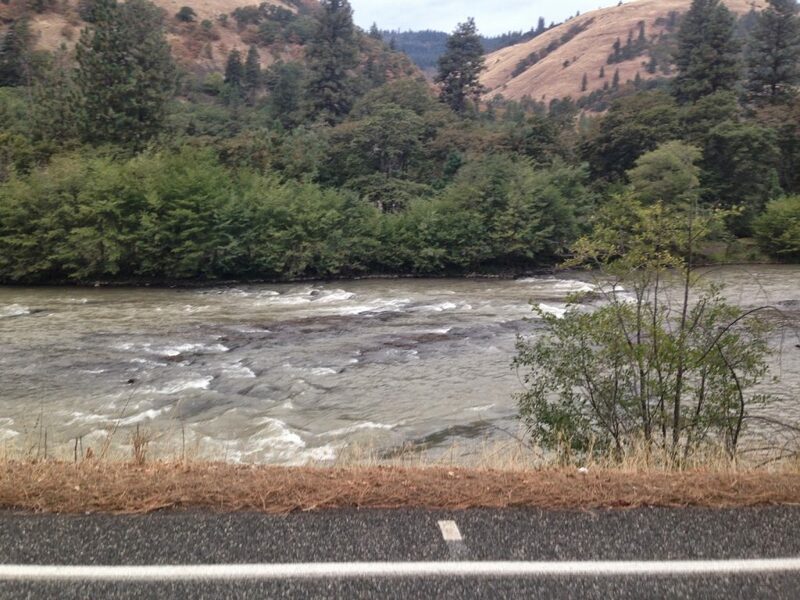 No worries……River is in great shape. We have seen some incredible fishing lately with mutiple tactics…as listed above. We have also seen some incredible pressure on the river as well. 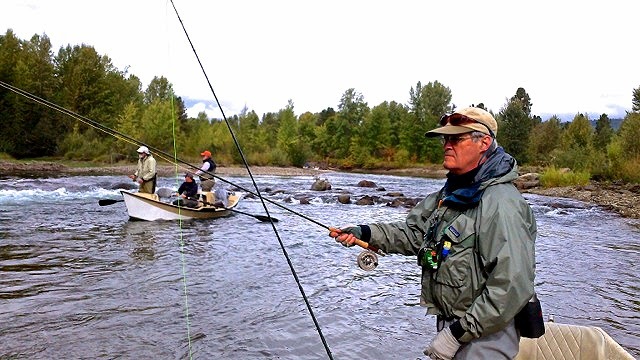 With the Methow river in poor shape for Summer run potential…..There have been a good number of other anglers and guides on the river. In addition, the amount of Salmon anglers has added to the pressure. The Chinook have not ‘inundated’ the system yet. There have been fish entering; definitely quite a few in the past 24 hours with the bump. 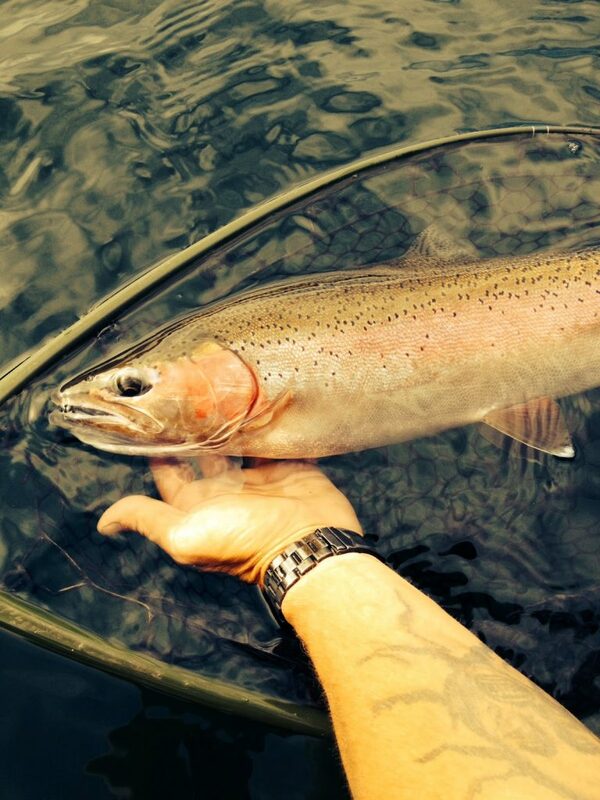 Highlight of the past week…..One fish eating the skated fly 3 times! Don’t forget with thoughts and prayers to all.